Dylans Candy Bar is a new name of innovation, blending the pop, fashion and art culture with the Candy Bar, to make the whole appearance look more imaginative and appealing. The dripping chocolate shelf, candy cane column and lollipop tree are some of its specialized items, in addition to the 7000 confectionary choices with an unmatched selection of candy bars and gifts. With eye-grabbing graphics and creative art, it is no wonder that the shop has such a large customer base. In terms of the currently available discount policy, you can sign up to get special deals on customized gift items and bulk orders. 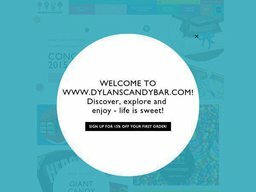 Dylan's Candy Bar is an online botique candy shop that merges the world art with pop culture and fashion with a candy.They even give a choice to user for their own personalization on candy's. If you're interested in purchasing something from Dylan's Candy Bar, then you should try to couple your order with special savings. That's what we try to help consumers do here at Coupofy Coupons. 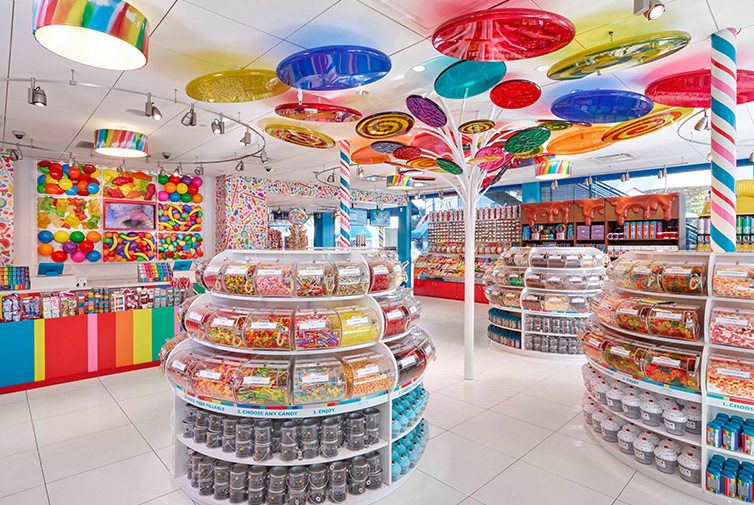 If you search the site, you should find a list of special deals and discounts for you to use when shopping at Dylan's Candy Bar.com. Clicking on one of the offers will take you right to their official website, ready to save money. In terms of shipping, there are three options available to make use of. Standard shipping is available on all orders, with an estimated delivery time of 3-5 working days. 2nd day delivery is valid for all orders made from Monday to Friday. Next day shipping is available on select items. The courier service normally used is UPS. Warm weather shipping option is also available at an extra cost, just to ensure that you don’t get your candy all melted. Select items are subject to surcharges depending upon the type of handling required. Standard delivery options are available for shipments to Alaska, Hawaii, APO and FPO addresses. P.O boxes do not fall in the category of delivery locations covered by the company. As far as the return policy is concerned, refunds are not allowed on candy, unless it has been damaged due to shipping. All non-edible products are accepted for return within 30 days from the date of receipt, only if there is a problem with the order. This policy excludes personalized items or bulk orders. All such returns need authorization by the customer care, failing which; the request shall be turned down. The product should come along in its original packaging with all the slips and tags attached.